Probate can be a complicated process. Knowing what to expect – and what you need to do – at every step of the process, however, can help you avoid common (and possibly costly) mistakes and resolve the probate case as efficiently as possible. 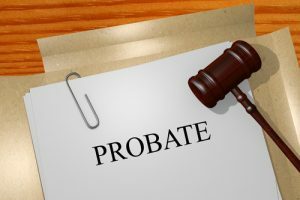 To this end, the following points out the important steps to take when you are ready to open up a probate case in Colorado. Although the following information is purposely general (to apply to as many readers as possible), you can easily get more specific information pertaining to you and your situation by contacting a trusted Denver probate attorney at JR Phillips & Associates, PC today. If a will (and/or other estate planning documents) has been left behind, it should name the person whom the decedent wanted to serve as executor and/or personal representative for the estate. If, however, no will was left behind or the designated party is unavailable (or unwilling) to take on this role (for whatever reason), the court will appoint someone to serve as the executor/personal representative. Distributing the assets of the estate according to the terms of the will. Once it’s clear whether there is a will for an estate and who will be serving as the personal representative for the estate, it will then usually be time to open up the probate case with the court. The nature of the probate case, however, can vary, according to the value of the estate. Formal Probate, which typically comes into play for more substantial or complicated estates, as well as when there may be a will contest (raised by an interested party like a beneficiary). Contacting an attorney to additional guidance and insight regarding how to proceed. Let’s discuss the next steps that you need to take in a Colorado probate case. Contact an experienced Denver probate attorney at JR Phillips & Associates, PC to find out what else you may need to do to settle an estate. We are ready to help and represent you in probate, whether you are a beneficiary, a personal representative or another interested party. You can contact us by calling (303) 741-2400 or by emailing us using the contact form on this page. From our offices in Denver, we represent clients throughout the Southwest Metro area and the state of Colorado.